Card Jitsu Snow Soon to Come To CP! Well the wait is just about over with. As requested, and to fulfill the journey with Sensei, card Jitsu Snow will be beta tested very soon! I'm sure everyone is very excited for this release because it will be just awesome! They look like snowmen! That sounds just about right considering it is card jitsu snow! This is really cool for me because card-jitsu is one of my favorite games to play on Club Penguin. I love that the whole idea came from penguins like us and has evolved into such a big part of Club Penguin. The original Card Jitsu, the one found in the Dojo, wasn't always there. The dojo was a hidden secret room (the iceberg was one as well) on the old map before the updated one (we blogged about this a while ago). Penguins kept giving suggestions to Club Penguin to make ninjas, and finally after enough time, it came. But the dojo couldn't just magically change one day. I remember, just after the Halloween party of 2008, there was a big storm which caused the Dojo's roof to collapse, causing a bunch of snow to come in. A mysterious figure appeared, digging out the dojo. We figured out later that he was Sensei, but at the time, no one knew what was happening. Club Penguin released card-Jitsu trading cards, and CPL was lucky enough to be able to review them from the company themselves! We received boxes of cards from Topps, and wrote a review. We gave away many codes and even found the ultra rare Golden Card! Card-Jitsu fire soon came out, and the Dojo Courtyard was finally being used. Card-Jitsu water, the second leg of the journey came out too the year after fire did. So now, in present day, Card-jitsu snow is coming out soon which leaves me wondering what other adventures will we go on after our journey is complete? Will there be another mission that us penguins will help CP sculpt to make the game even better? 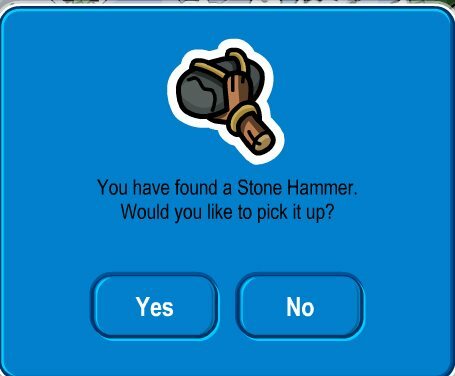 So tell me guys, what would you like to see happen in Club Penguin next? The possibilities are endless, and only we can create, the Club Penguin of tomorrow! plz send me a golden card jitsu card code!! THANK U SOO MUCH!! Not sure if you all know this but I'm the best at card jitsu so don't even try it!!!! You can't do it yet because it's not ready to test yet. It will be soon and then you can do the testing if you want.